There are those times when something special comes into your life, something that you never knew you needed until you had it. Well for me, it was this glorious palette from LORAC. I've been hinting at this palette a lot; its been getting heavy coverage on my Instagram, Twitter, and it made Most Loved August (in all honestly it could be in every single Most Loved posts from now on...) To say this palette is amazing is an understatement; it's got everything good going on and more, and is quite possibly HG (holy grail) status for me. 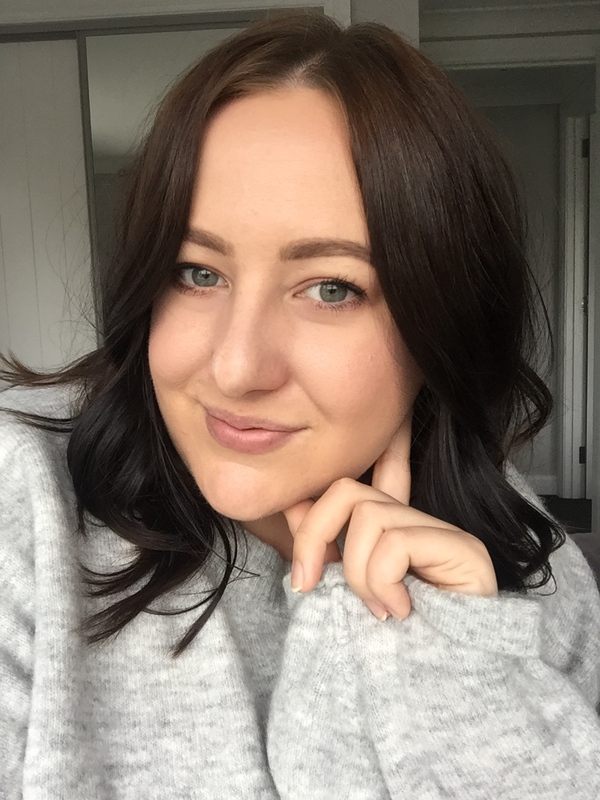 This beautiful thing came into my life after I did a big Drugstore.com/Beauty.com haul a couple of months back (see it here) and I knew from the moment I opened it up I was going to love it! 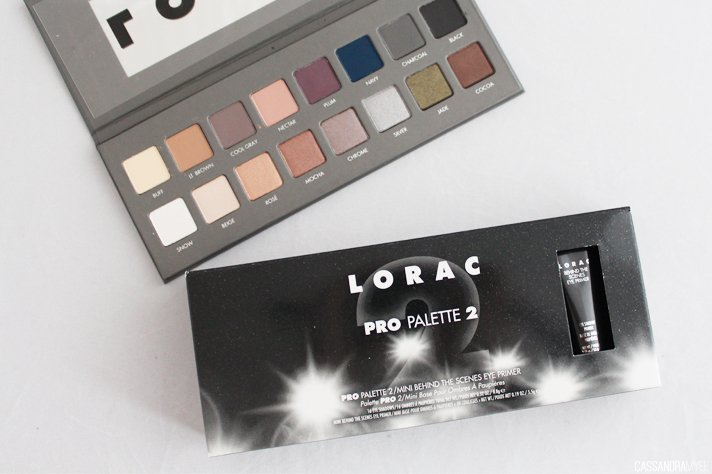 The PRO Palette 2 is the second installment following on from the original PRO Palette, which is at the top of my to-buy list now after using this! 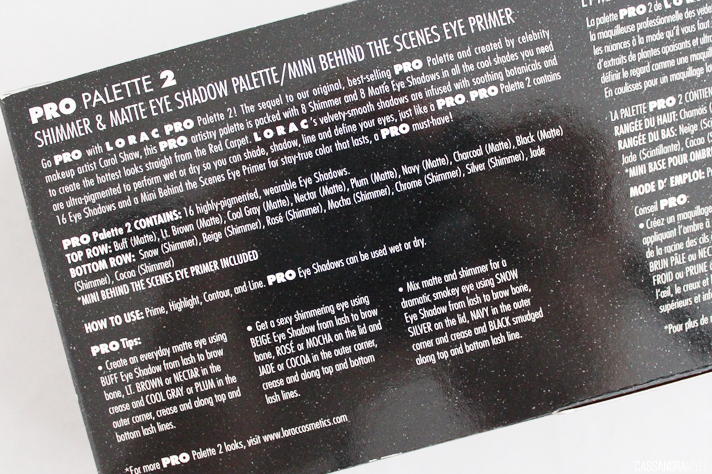 Along with the palette, you also get a mini 5.5g sample of the Behind The Scenes Eye Primer (full size USD $21.00), which is a great little primer but with these shadows, you really don't need it! For such a big box, the palette is extremely slim and compact. 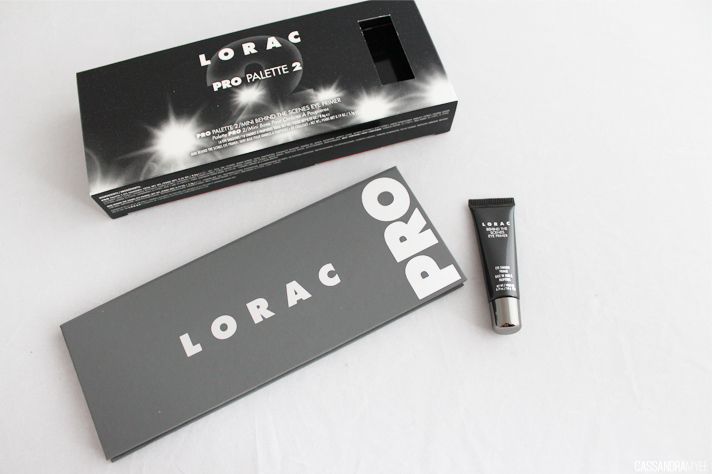 The PRO 2 has a lighter grey packaging compared to the black of the original. It has a magnetic closure, nice large mirror and the eye shadow pans are a great size. Although I do love the colours of the original, I was really drawn in by the range of colours in this one; it has an unusual mix that is a welcomed step away from all of the neutral browny-toned palettes I own! This palette allows you to create so many different looks and is one of the most versitile palettes I've ever seen. What LORAC has done extremely well is the inclusion of a full set of 8 matte shadows. 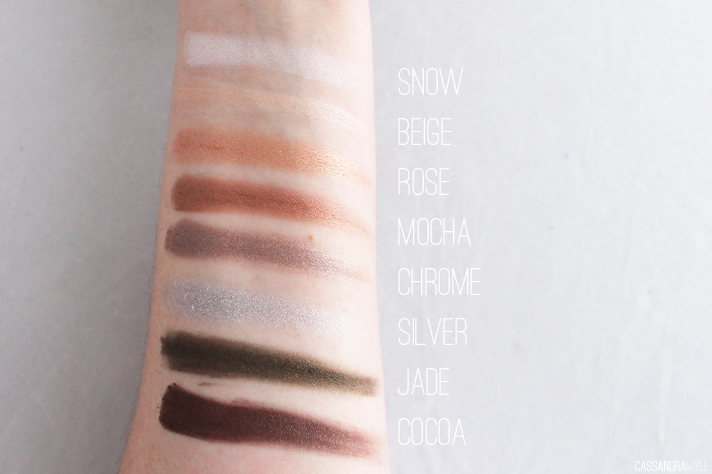 To say these matte shadows are pigmented is a total understatement; these are the most creamy, smooth and blendable matte shadows I've used (even better than my much loved Urban Decay Naked Basics!) 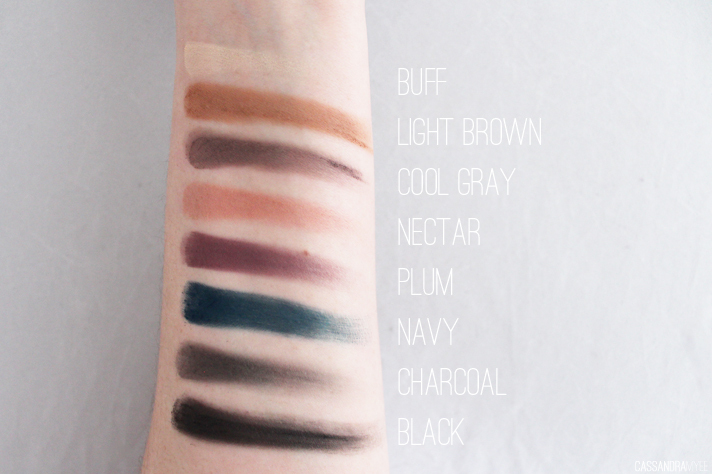 It has the standard matte cream, brown and black, but also some amazing colours like Navy, Plum and Nectar. I've been using a bit of Navy on my lower lashline and it adds an interesting bit of colour to the eye, especially when using the more neutral tones of the palette. My most used from this bunch is Nectar and is easily one of my favourites from the whole lot. It is an amazing crease colour and a nice alternative to darker browns. I love a good palette of shimmery eye shadows and the LORAC has me covered. These are BEAUTIFUL; they're aren't chunky, nor do they have much fall out and they are all unique shades that I don't have in other palettes. I've been using Rose pretty much on the daily, especially with Nectar blended in the crease. The darker shades like Jade and Cocoa are absolutely stunning especially when you want a more evening vibe to your makeup. Snow and Beige make for the perfect highlighting shades as well; the palette just has all my bases covered. 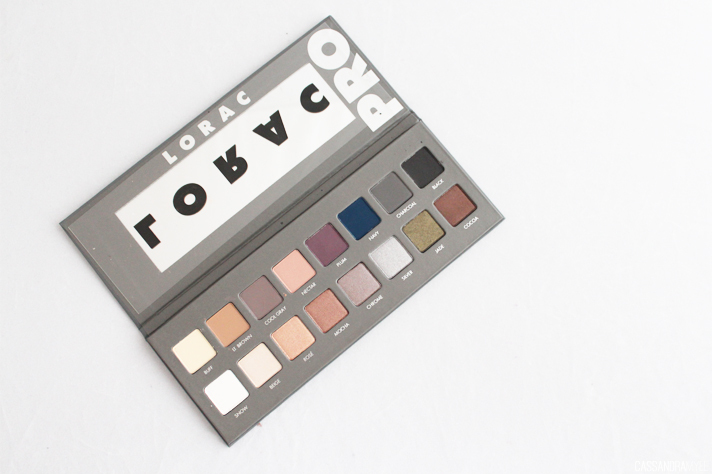 There aren't enough adjectives like 'amazing' and 'incredible' to describe this palette, all I can say is if you buy one eye shadow palette - make it a LORAC PRO and there will be NO disappointment! I bought mine from Beauty.com for USD $42.00, which I think is so cheap for the quality, and used YouShop to get it to me in NZ. I've now got my eye firmly on the original PRO Palette, and I may have bought the limited edition Holiday Collection Mega Pro that looks like the palette to end all palettes. Have you got one of the PRO Palettes?